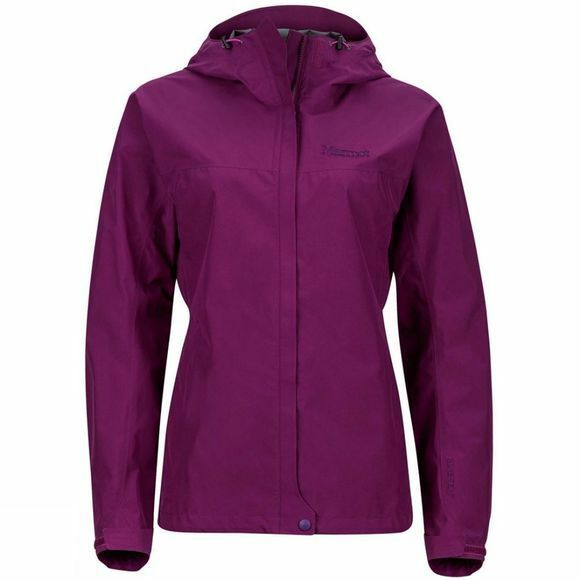 The Womens Minimalist Waterproof Jacket from Marmot has a lightweight shell made from Gore-Tex with Paclite Technology, the wind-blocking hydrophobic membrane and weight-minimizing Paclite technology adding comfort to your rainy outdoor adventure. The 100% recycled fabric features a PFC-free, water-repellent finish. Zip up this shell over an insulated jacket for additional warmth and protection.